So, it's about that time. After lurking the forums for some time, I've decided to go full throttle with this bulk. 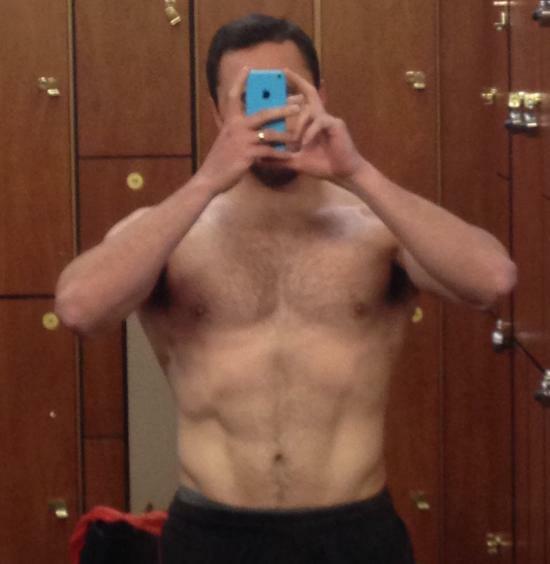 With the support, suggestions, and motivation of the SS forums, I am eager to take my physique to a whole new level. 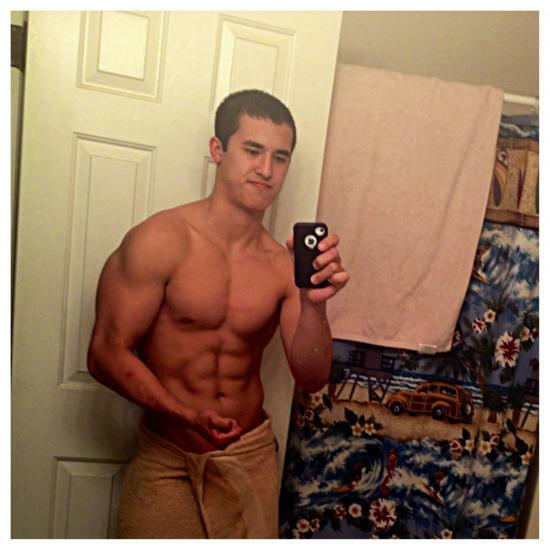 My name's Scott Kallet, I'm 19 years old and I have been consistently lifting for nearly three years. As a kid, I was a die-hard wrestler. During high school, I suffered a couple serious knee injuries. On the offseason, I became sedentary and a party animal. I watched as my lanky physique became somewhat chunky. After gaining nearly 60lbs in under a year, I eventually joined the local gym. Over the first year, I became addicted to transforming myself and fitness. Currently, I just finished my first year of college. 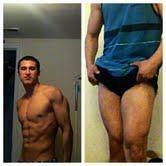 I am a Bioengineering/Pre-med Major with aspirations of becoming a physique competitor and sports medicine doctor. I haven't missed a scheduled workout in three years and I love motivating others. I also enjoy watching all of your logs on SS! More to come shortly guys! Overall, I just want any gains I can get. Current Routine: PHD-4 by RJ perkins. -I am running this routine for another 2 weeks, then transitioning into a push/pull/legs or another hypertrophy routine. good luck OP, may zyzz be with you. @Massthetics, lol as in music I workout to? Anyways I'll just answer that. I get on pandora alot...but favorite lifting tracks. -Rap: Drake, Kid Cudi, and Wiz Khalifa. Songs with fast beats in general. In! Good luck bro, I'm currently bulking so I'm with you! Well today is 5/22 and this is still kind of a recovery week. Anyways, in about an hour, I will be hitting a nice little back workout and 15 mins of HIIT. Barbbell Rows: 15, 10, 8 (135, 155, 185). Hammer Strength Machine Pullovers: 150lbs: 3 x 8-10. Chest Supported T-Bar Rows 3 x 8, with slow negatives (3 45 plates). HIIT: Set the treadmill to the max incline..30 seconds slow walk at 2.5mph. 30 sec sprint uphill at 7.5-8.0mph. Repeat for a total of 15 minutes. Eventually I want to transition to running on 400g of carbs, 160g of protein, the rest fat). CARDIO: Before every lifting session, I do a low intensity jog or stair mill session for about 15minutes. This just gets me warmed up. I try to hit atleast 1 or 2 HIIT sessions a week for 15 minutes. Awesome back workout. I feel like really squeezing my back and going lighter really hit my back harder than hitting super heavy weight. 10 mins into my HIIT, I was absolutely murdered lol. Finished off with about 5 minutes of low intensity cardio. Tomorrow's a rest day. Might just hit some core work...that's all. I really can't wait to get after it again on monday. @flexdec, I remember in one of your logs, you set up a routine to bring up your chest and legs as well. What did you run? I was thinking about cutting to the chase and just starting this Push/Pull/Legs split on Monday. Well guys, today was kind of like a rest day. Took it easy but still got an effective workout in/hit weakpoints. -Did 3 x 10 Barbbell Shrugs and a Drop set on the last one. -Core Work: 50 Hanging leg raises, 50 Machine Crunches, Stomach vacuums, and 3 x 10 ab wheels. Morning weight of 171.0! In a sense I am doing the PHD-4 split in reverse this week. Went easy monday-thursday..now i feel ready to kill it on friday and saturday which will be power days! Thanks! 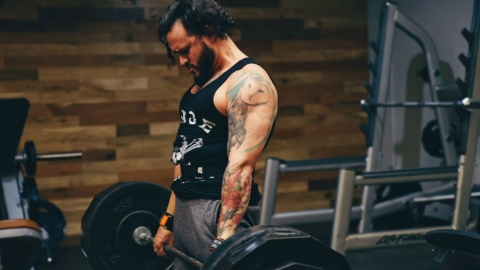 I guess what it comes down to is the progressive overload and more frequency. Deadlifts: I am really going to feel my body out right now. If my back's still not 100% I'll probably go 3 sets of 15 with 225. If I'm feeling good, I'll probably go for a set of 365 x 3-5. Barbbell Bench: I already hit a light 15 set chest workout earlier this week. Overall, my chest feels fine right now. 2 sets 135 x 15 speed reps, 2 sets of 3-5 power reps, end with 2 sets of 6-10 paused reps to really hit the chest. - 2 x Db Overhead extension (8-12) 70lbs. *Morning weight was 172.5lbs, due to higher sodium. I still feel pretty good though! Ok time to kill it. Not too bad of a workout. I ended up not hitting deadlifts since tomorrow is leg day. But anyways..I was most satisfied with my barbbell bench sets. -started with two speed sets of 135. -Hit some heavy singles and doubles..255 x 2 and 265 x 1. -Rest Pause reps...2 sets of 6 with 155 (Wow these killed with a slow negative!). I also did 3 sets of flies with 35lb dumbbells for a great contraction. Then I finished out with 50 pushups. Overall, I hit like 22 sets of chest this week. The first 15 (Monday) wasn't too intense...so I feel great! 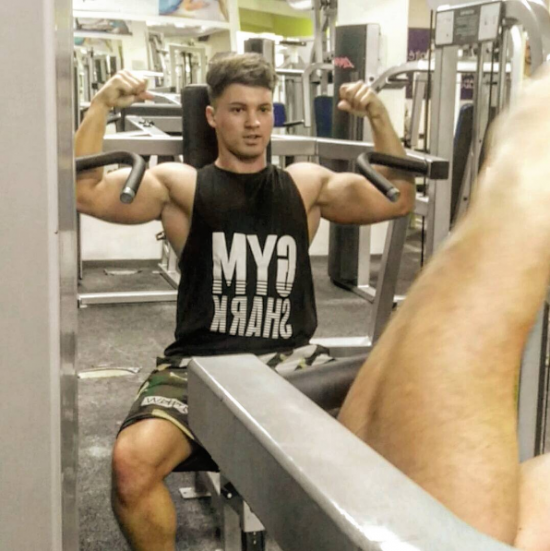 Through progressive overload and muscle mind connection on accessories...I look to make some great strength/hypertrophy gains to my chest. Yesterday, I think I went a bit over my calories...so I through in about 15 mins total of HIIT today (Post-wo). 10 mins of treadmill uphill sprints, 2 minute all out burst on the row machine, then 3 mins of light intervals on the eliptical. Just pounded a solid 750 cals..2 more meals to go! ^^^Me this morning at 172.5 Overall, I feel like I'm holding this weight well. Are you copy and pasting the image URL??? Lol. Thanks! Well yeah there's a 172.5lbs full of sodium and water. I don't think that's too bad though! Had a leg day today..hit a new PR. 285lbs x 6 reps...probably could've hit a total of 8. But damn was I satisfied. Morning weight: 170lbs. So tomorrow's my rest day, then monday I'll be ready to kill it for 6 more days. -Deadlift 340lbs x 10 Reps.
-Squat 3 Plates for 5 Reps.
-Continue to perform heavy singles at the end of my chest workout...without overdoing it. Also, continue to throw out the ego on my chest exercises and work for a good stretch/contraction. Lol my facial expressions are lame af...I don't know why I do it, but I'll stop! @Alec, about 3050-3100 cals...which is a surplus of about 250-300 cals. It's a slow and steady bulk. So that way, when I decide to cut way down the road...I won't have to go crazy for it. Basically, I'm about 170lbs and 10% bodyfat. My first goal is to be 170lbs and 7-8%. 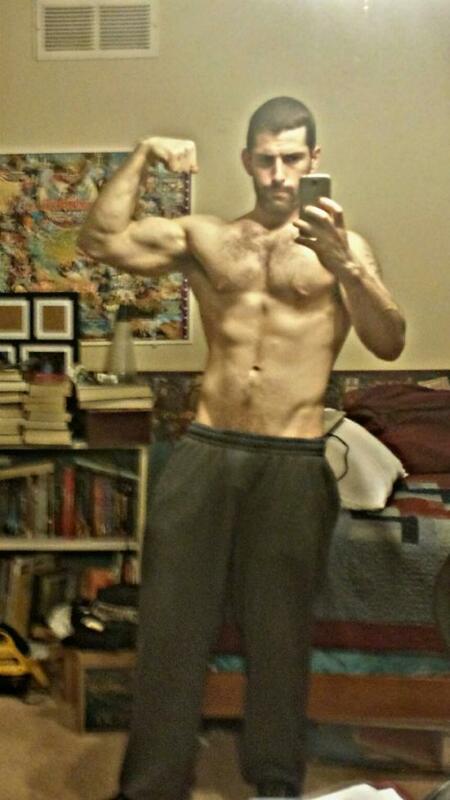 Someday, I would love a completely shredded (6-7%) 175lbs. But that'll take some time. Goodluck bulking! Well hello guys! My God it has been an eventful three days! Anyways..lets get it...May 26 was a rest day, just partied with a few friends and recovered. My morning weight was 169.0lbs. Anyways...the good stuff! Monday: Upperbody power (and Deadlifts). Highlight: Deadlifted 340lbs x 7 after having a really heavy leg day on Saturday! Usually I would bail around 5. Barbbell Bench...260lbs x 2. I plan to slowly work up to 275 x 3. And here come the best PR's from today! The gains are great guys. Feeling like a tank. Haha thanks..I guess I am decently strong for my size, but there's thousands of 170lb'ers that blow me out of the water. Just gotta keep on pushing lol.